Love thematic There are 3 products. You wish to express your love to someone or to keep alive the flame of passion? 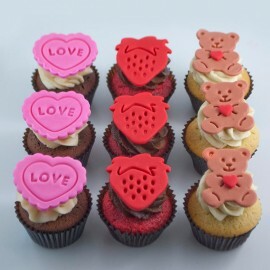 Don’t hesitate and choose our pure butter cupcakes topped with kisses, lovebirds or hearts illustrations made of marshmallow fondant! Please specify the image you want when ordering. 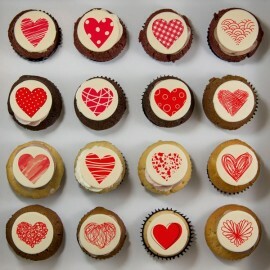 Express your love or keep it alive, or celebrate friendship in a creative and tasty manner with our message boxes! Is there a better way to please someone?